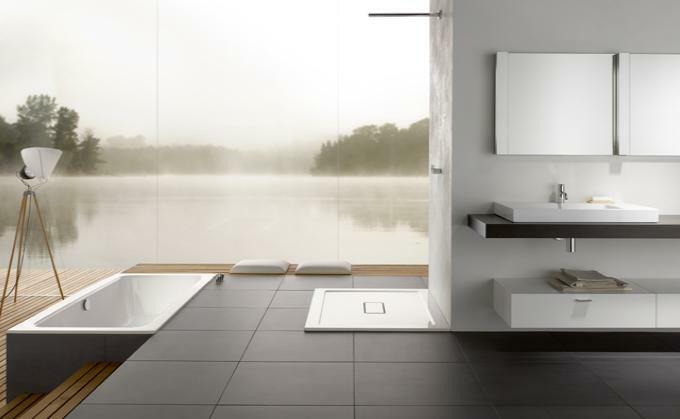 It is the presence of water that turns a space into a bathroom. 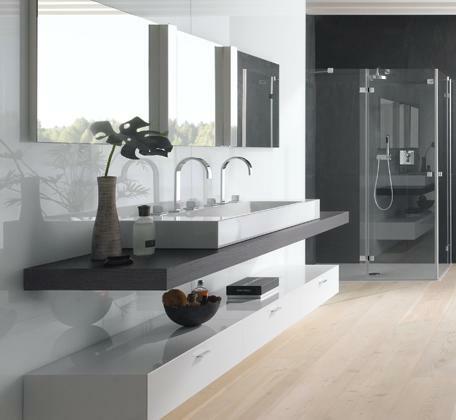 Our washbasins, shower areas, shower trays and baths collect the water and give it space to develop its effect. A wide variety of materials, a large number of different shapes, sizes and dimensions as well as worlds of colour tailored to modern floor and tile trends are the special features of our range. As a result, you gain the opportunity of finding your individual solution to meet every requirement and to fit every room. With a prize-winning design, we repeatedly set standards in modern bathrooms. In addition to our baths and shower trays, we offer you made-to-measure shower screens for a perfect fit. Our new washbasins are finished off with intelligent furniture modules, high-quality support plates and illuminated mirrors. Set a stylish highlight with a free-standing bath or an attractive washbasin. Or design your bathroom with a harmonised appearance, with a shower area matching the floor colour and the appropriate shower enclosure. Our washbasins, shower solutions and baths complement each other with functional and optical perfection – in every combination.